Most B2C marketers who run influencer campaigns plan to increase or maintain their budgets for those programs this year, according to recent research from Linqia. 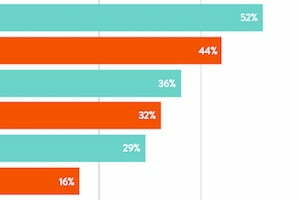 The report was based on data from a survey of 181 marketers whose firms run influencer campaigns. Respondents work in a range of B2C industries, including CPG, food/beverage, and retail. 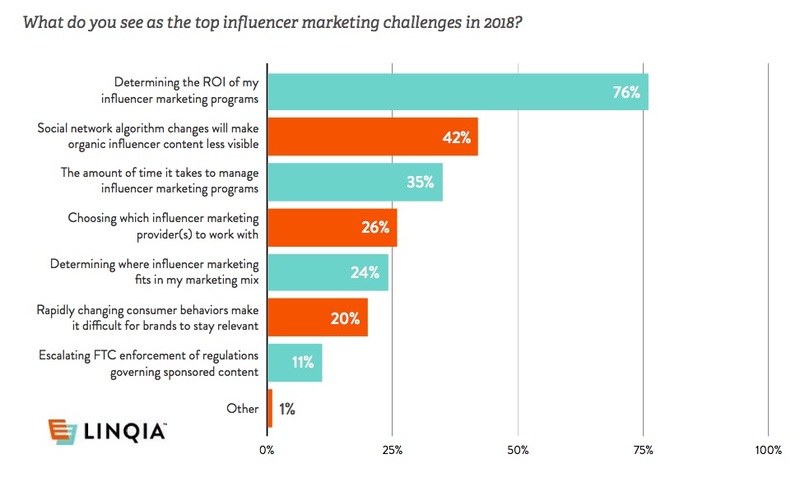 Some 39% of respondents say they plan to increase their spend on influencer marketing this year; 21% plan to spend the same as in 2017; and 5% plan to decrease their spend. 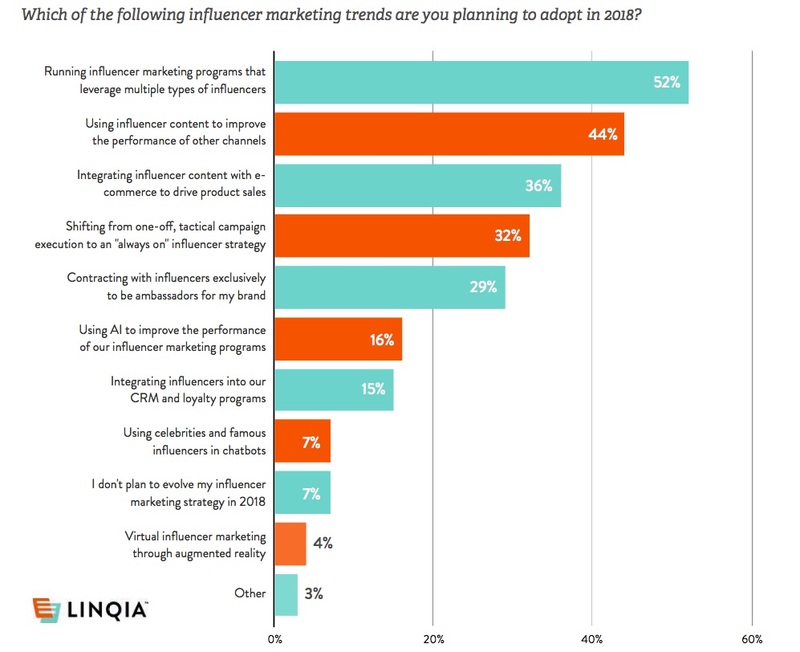 The top influencer marketing trends that respondents foresee adopting this year are running programs that leverage multiple types of influencers (52% say so) and using influencer content to improve performance on other channels (44%). Respondents expect that the top influencer marketing challenges of 2018 will be determining ROI (76% say so) and dealing with social network algorithm changes that will make organic content less visible (42%). About the research: The report was based on data from a survey of 181 marketers whose firms run influencer campaigns. Respondents work in a range of B2C industries, including CPG, food/beverage, and retail.